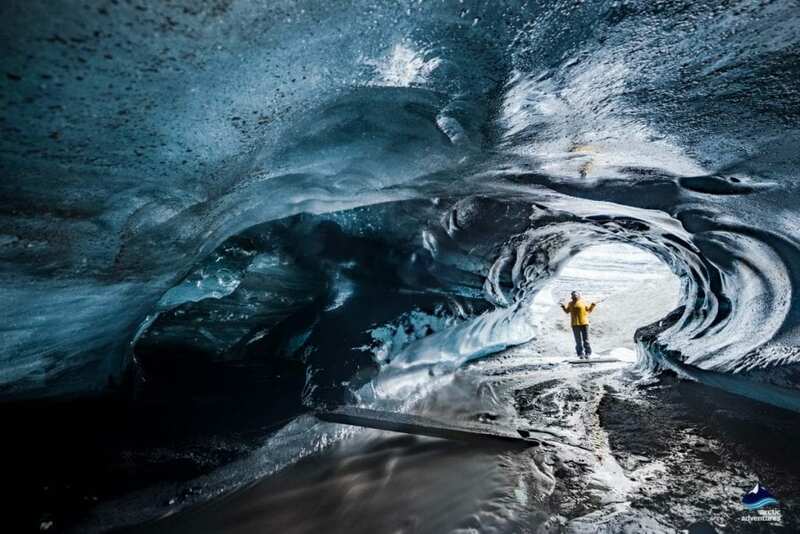 Solheimajokull glacier has a wealth of dramatic ice formations including crevasses, rugged ridges and sinkholes. 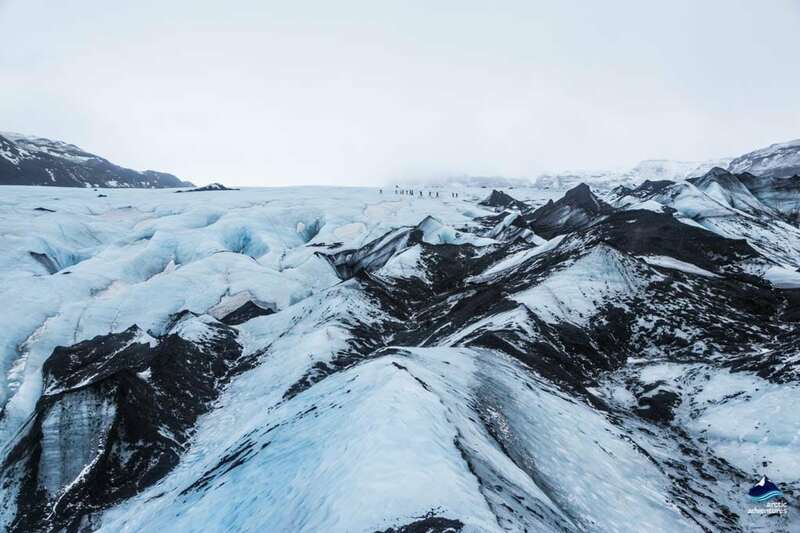 Sólheimajökull is a glacier tongue or outlet glacier of Mýrdalsjökull, the 4th largest glacier in Iceland, which has the mighty and feared Katla Volcano lurking ominously beneath its ice cap. 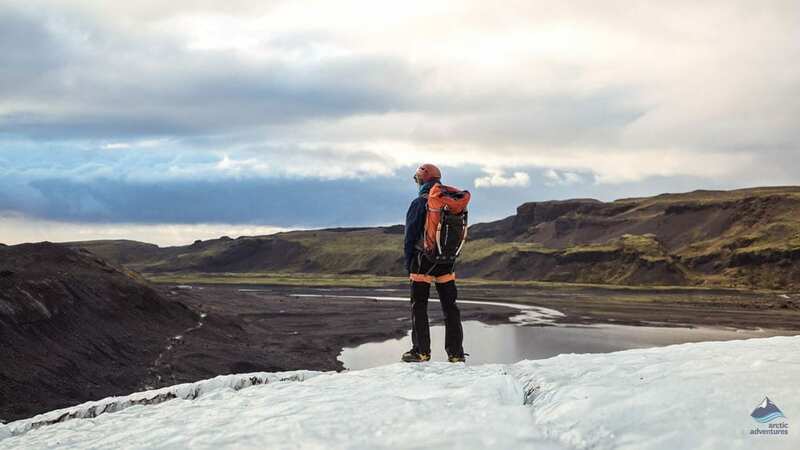 How to get to Sólheimajökull? 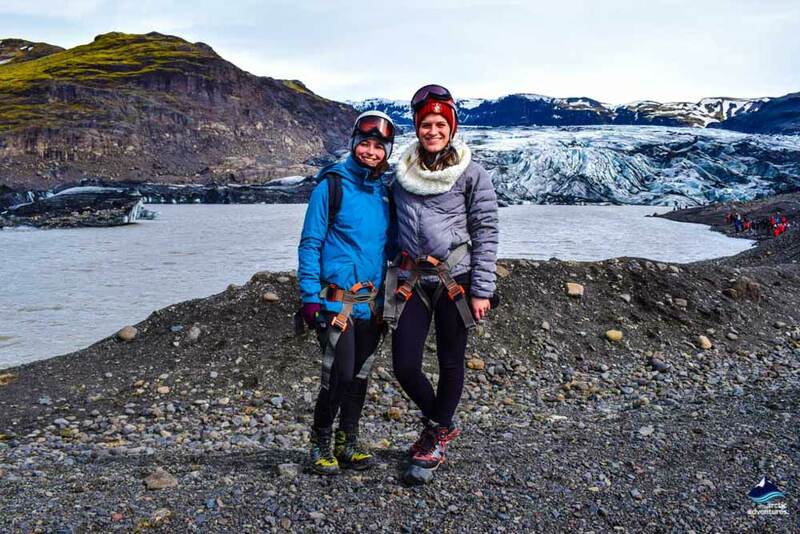 How to dress for a Sólheimajökull Glacier hiking Tour? 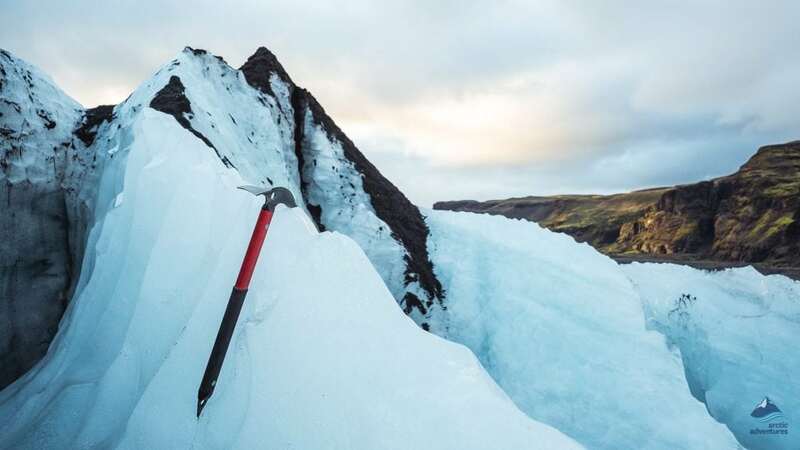 The rugged and constantly changing face of Sólheimajökull glacier will reveal to you the power of nature in a stark, rugged and totally phenomenal way. 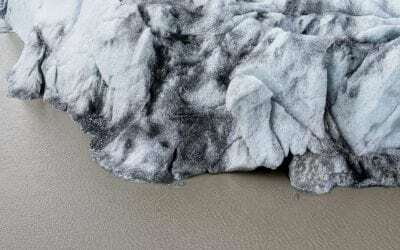 The marks of climate change can be seen very clearly here – the glacier has retreated about a kilometer over the last decade – interesting, though, to know that when the Vikings settled in Iceland the climate was warmer than it is now. 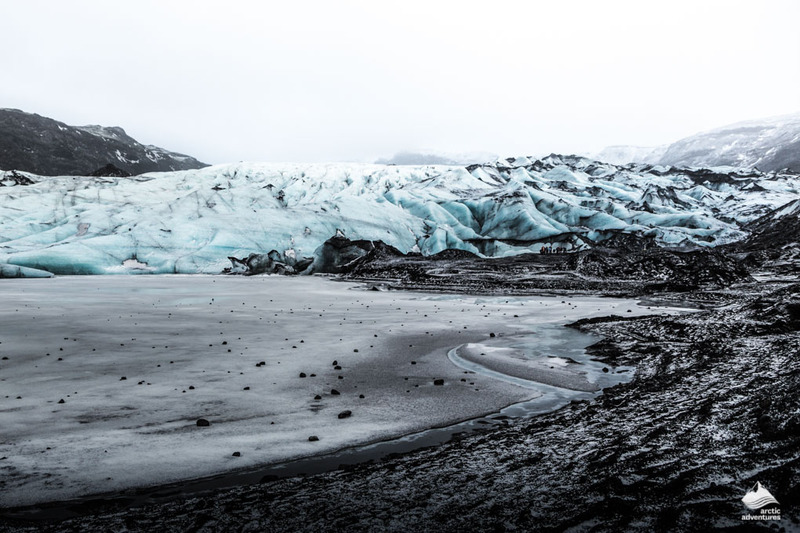 Many different glacier tongues stretch out from potent mother glacier Mýrdalsjökull including Kötlujökull (also known as Höfðabrekkujökull), Öldufellsjökull, Sandfellsjökull and last but not least the one we are covering, Sólheimajökull. 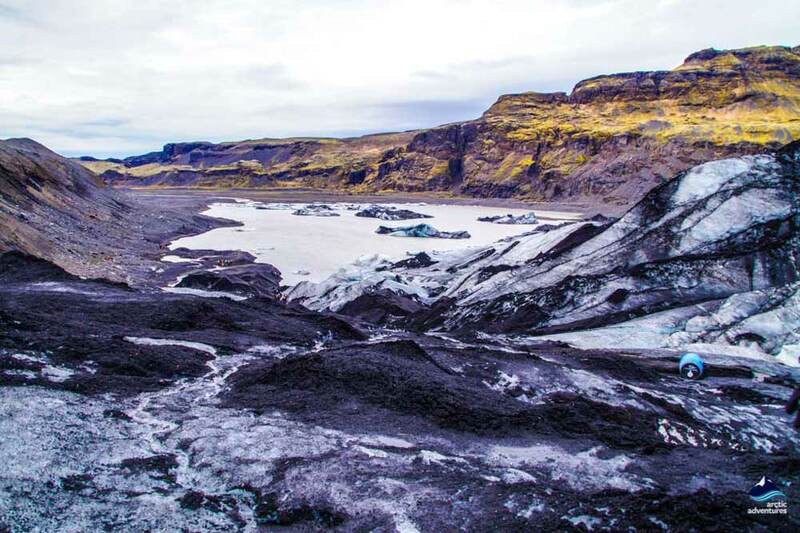 The river Jökulsá runs down from Sólheimajökull filled with glacial meltwater, which is rich with smelly sulphuric acid from the subglacial areas. The river has sometimes been called the “stinky river” due to this fact – But, this isn’t the only nicknamed known to the area. In 1930’s Sólheimajökull, which had up until then been growing, suddenly started retreating and today it is hard to pinpoint its exact size. 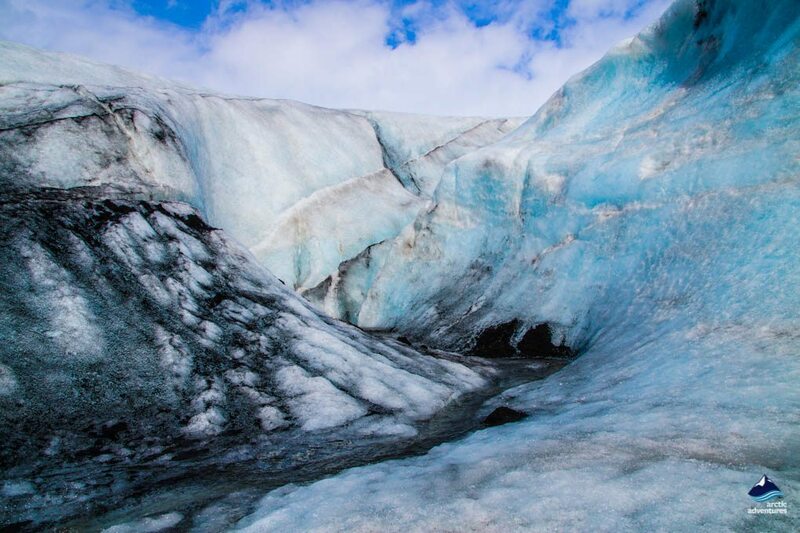 This is why the glacier is often nicknamed “The Shrinking Glacier” and many travelers visit the glacier due to the fact that in a few centuries it might not still be there. 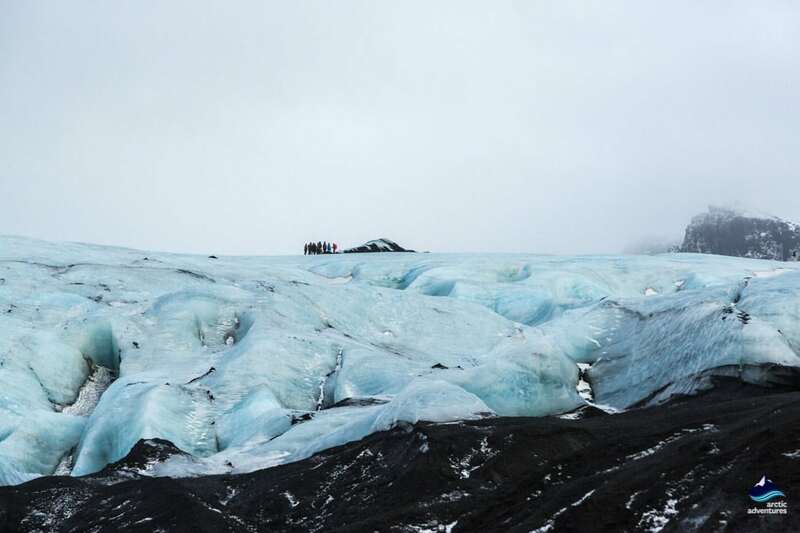 Sólheimajökull is one of the two glaciers closest to the capital, Langjökull being the other one. 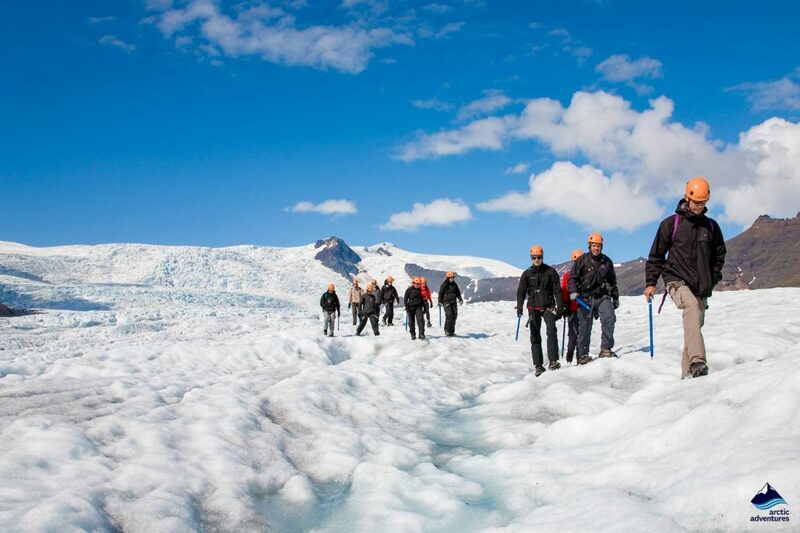 It is easily accessible and glacier tours are operated on the glacier all year round multiple times a day. 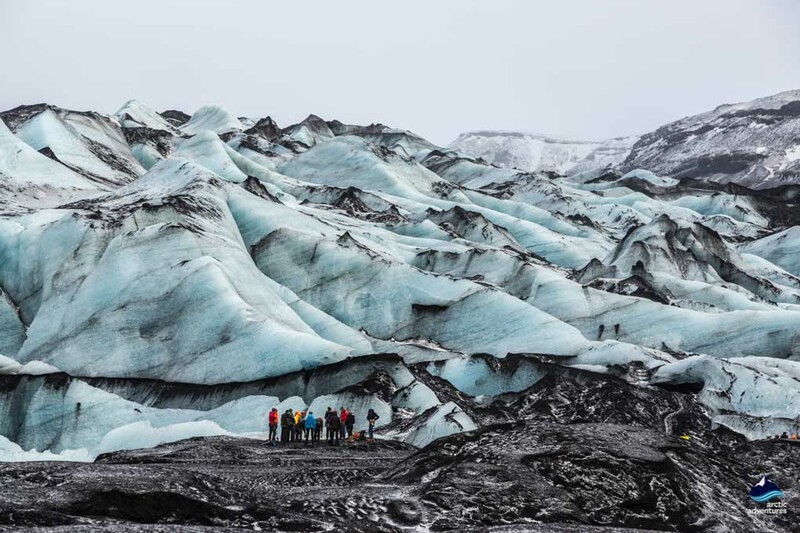 Why not try a Solheimajokull glacier hike with an experienced and qualified guide? Give yourself a once in a lifetime experience that will be a treasured memory for years to come. 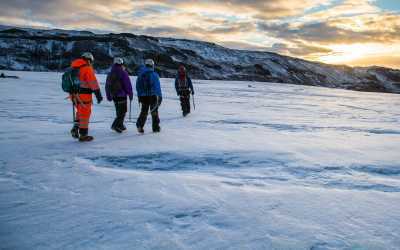 Learn so much more about the unique world of the glacier from our passionate specialist glacier guides. 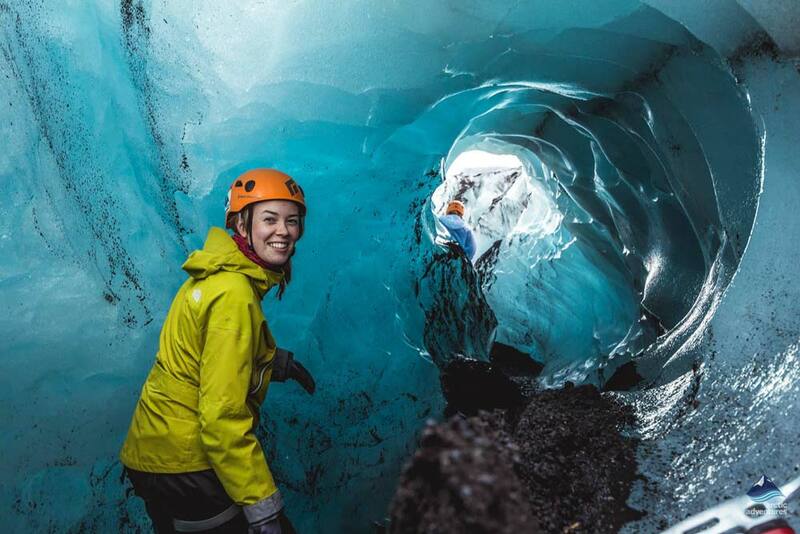 When you visit the land of Ice and Fire, a glacier exploration is simply a must on your bucket list! The name, Sólheimajökull means, home of the sun glacier. Sólheimajökull is an outlet glacier from the mighty Mýrdalsjökull icecap. Sólheimajökull is an outlet glacier from Mýrdalsjökull, Iceland’s fourth largest glacier. Sólheimajökull is 158 km south of Reykjavík. From an easterly direction, Höfn is 302 km, Jökulsárlón Glacier Lagoon is 233 km and the Skaftafell Visitor Center is 170 km. Other places of interest around the area include the little town of Vík (30.7 km), Skógafoss waterfall (11.9 km), Seljalandsfoss waterfall (38.5 km), the black sand beach at Reynisfjara(31.8 km) and the Reynisdrangar peaks (31 km). 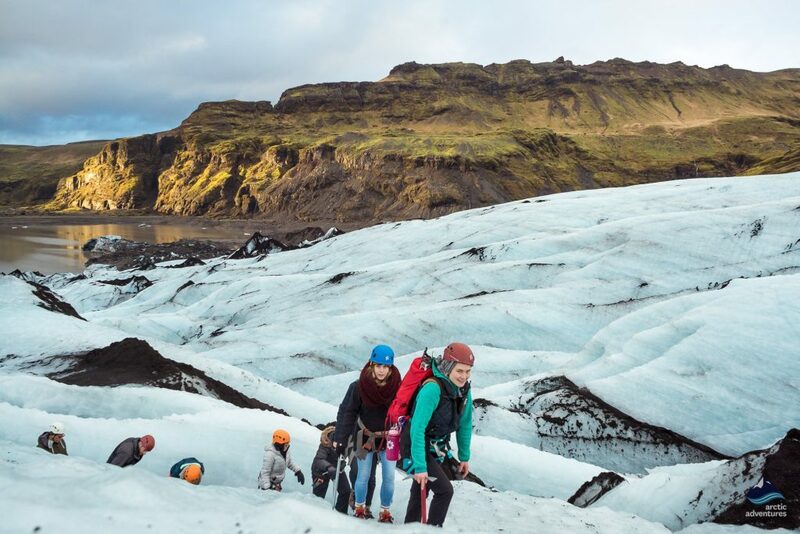 There are a few different ways of going about getting to the majestic Sólheimajökull. 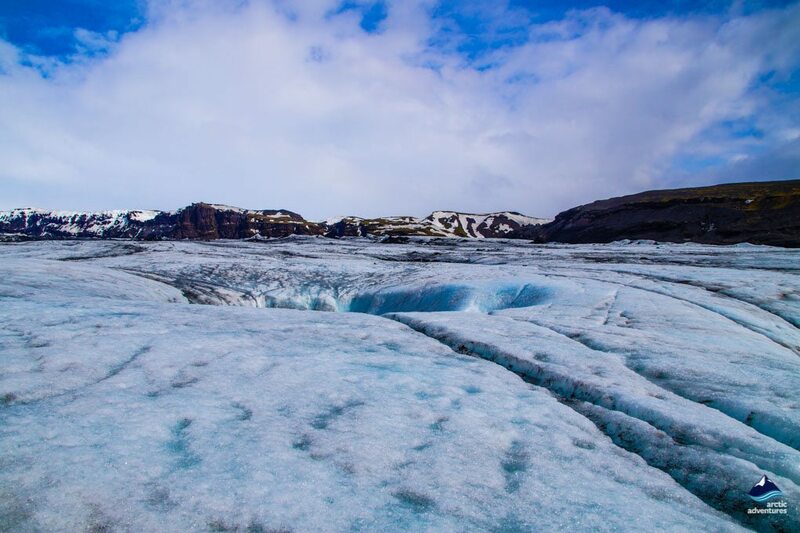 The two easiest are joining a tour that picks you up in Reykjavík and takes you there for an epic adventure on the glacier OR getting a rental car and driving there yourself. Driving to Sólheimajökull is relatively easy, you follow Ring Road 1 along the South Coast, through the towns Hveragerði, Selfoss, Hella and Hvolsvöllur. Continue past the water wonders of Seljalandsfoss and Skógafoss into the black beach paradise of Sólheimasandur. There you will start to spot the first sighting of the mother glacier, Mýrdalsjökull and next up is the pleasant ice mass appearing in the deserted no man’s land of Mýrdalssandur beach. Parking is free at the Sólheimajökull parking lot. Make sure to stay within the marked parking areas and be mindful of other drivers. There is a small café right next to the parking lot, the Sólheimajökull café offers some nice homemade baked goods and delicious coffee. A delightful treat for before or after your glacier adventure! Surrounding the glacier is somewhat of a mountain fortress which gives shelter to the glacier and makes the weather milder than you would think but that is not to say that if the wind gets forceful it will reach the glacier. 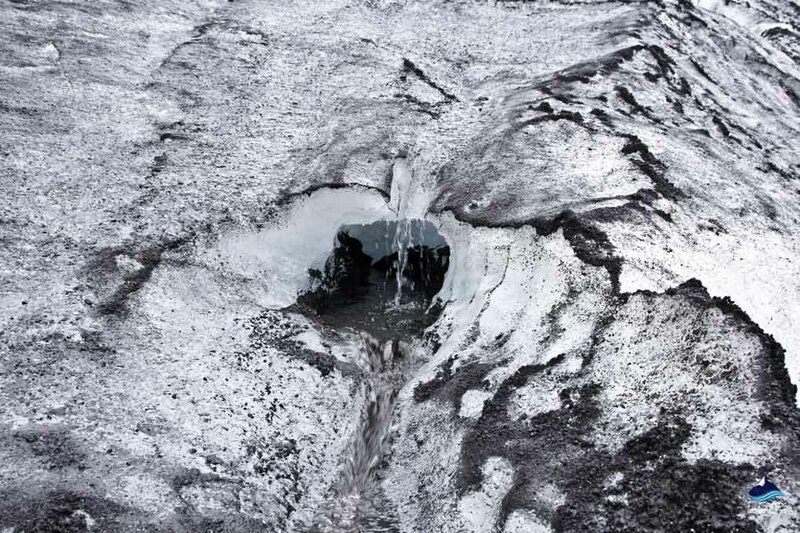 When this happens it isn’t safe to walk the glacier and your tours will get rescheduled, notifying you via text. 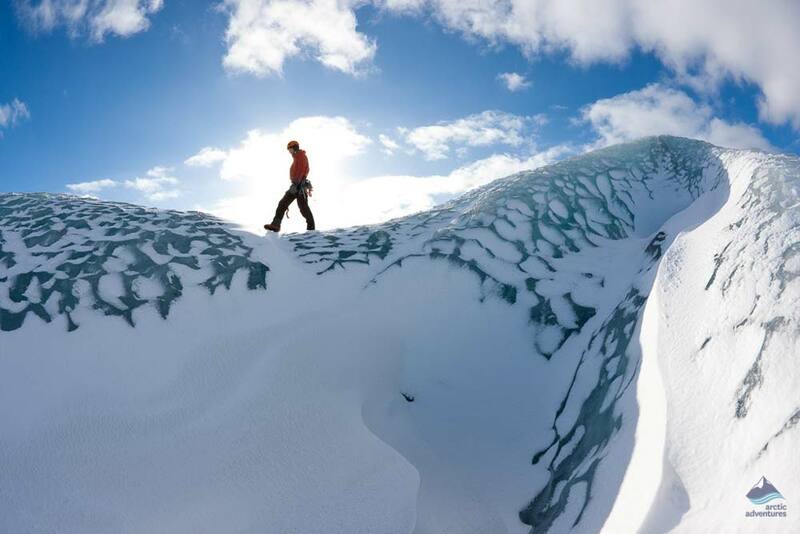 Still, most of the time the weather is great – after all there is a reason for its name, Home to the Sun Glacier. 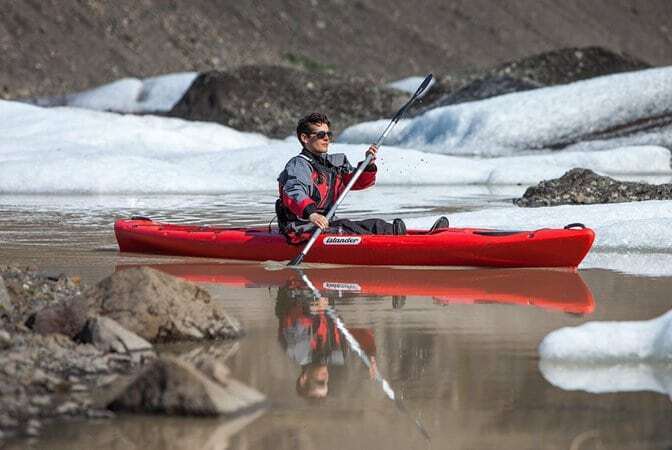 Wear sunscreen, bring sunglasses for the sun’s reflection in the ice and dress in layers. More on this right below. 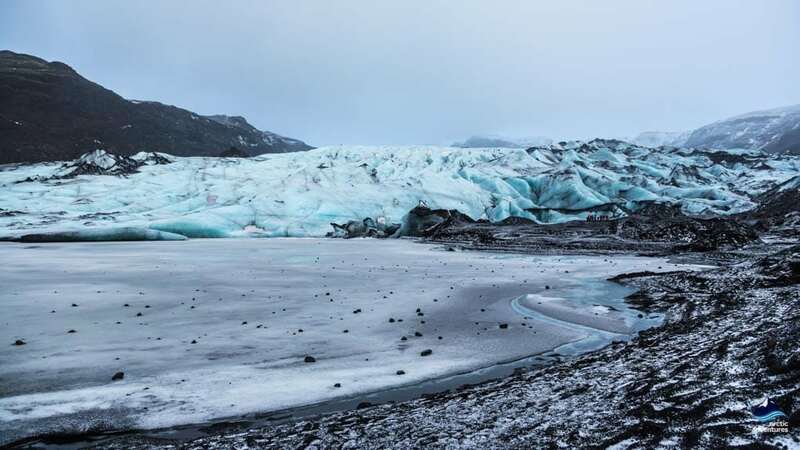 If you wish to follow the forecast yourself you can do so at the Icelandic weather forecast webpage (it’s the glacier far right in the photo). 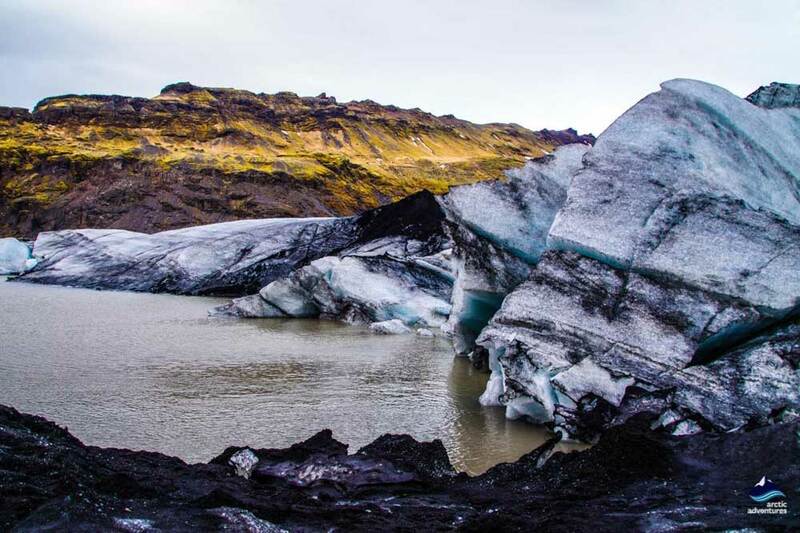 A short but stunning glacier hike on Sólheimajökull, the whole experience is only about 3 hours once you are there. Still, perfectly enough time to see the beauty of the glacier. 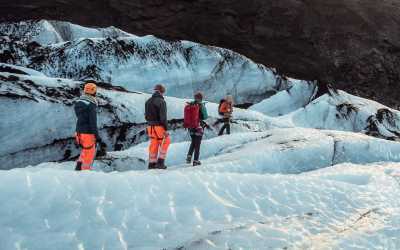 The longer version of the Sólheimajökull hike, this is where you take a deep dive into the exquisite geology of the glacier and get to see untouched areas and blue ice tunnels. 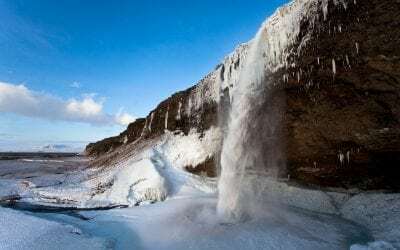 This tour is a fabulous combination of the South Coast, volcanic views and the famous Seljalandsfoss and Skógafoss waterfall with an added Glacier Experience walking tour. The perfect day on the South Coast! One of our most popular tour of all time. 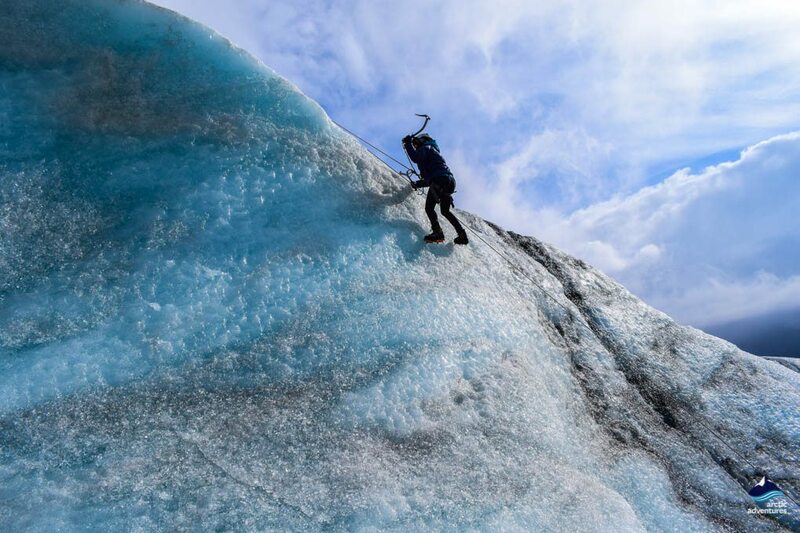 Glacier hiking and ice climbing on the crystal blue Sólheimajökull. This is one for those looking to adventure – and get a good story (or an impressive photo ) to share back home! 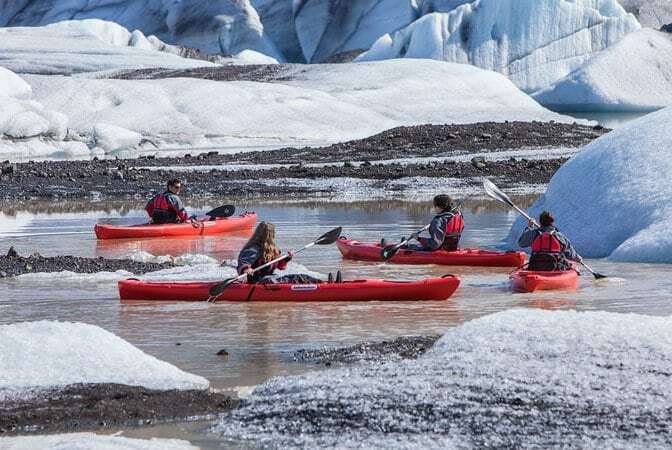 With the retreating of the glacier came a glacier lagoon and yet another chance to go kayaking around icebergs. A fabulous 2,5-hour excursion to take. Only available as a meet on location tour. 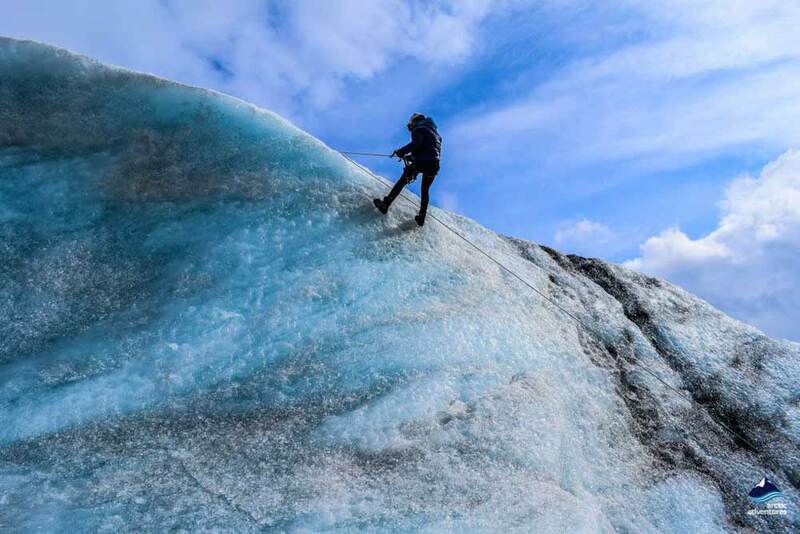 A glacier rightly sounds like a chilly place to hang out at, but, those who are doing a glacier walking tour and especially those who are doing a glacier climbing tour will need to keep in mind that you get warm when you move. Dress smart, layers being key, so you can easily take off and possibly tie around your waist your waterproofs, a coat or a sweater that might have been overdone. 1st layer should be wool or thermal underwear and is meant to keep you isolated. 3rd layer should always be wind- and/or waterproof clothing and is meant to keep you dry. The shoes you choose to wear need to have a sturdy and thick sole so you will not feel the crampons provided on the tour through the sole. Trust us, that isn’t comfortable! The add-ons, what is left to wear are finger gloves, a hat or a buff and preferably warm socks with some ventilation. Sólheimajökull café – located right at the parking lot offers coffee and baked Icelandic goodies! 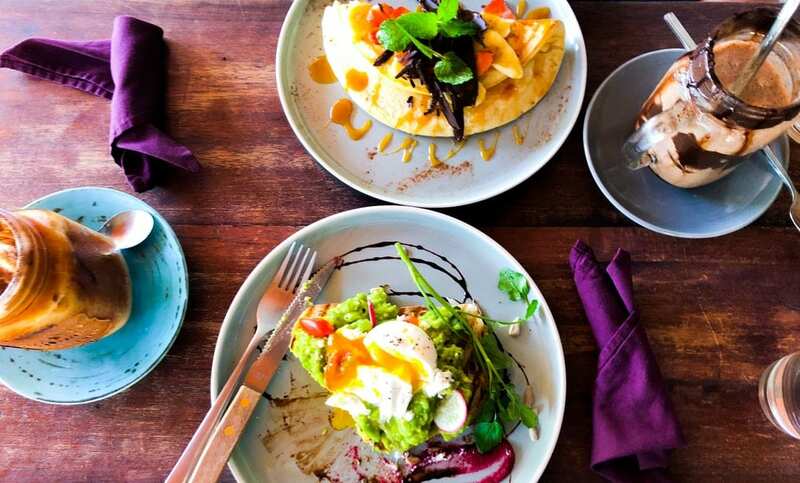 The Black Beach Restaurant – Café, Vegan and Gluten free options. Suður Vík – European food, Vegan-friendly. Ströndin Bistro Bar – Bar, International and Gluten free options. Halldórskaffi – American, Pizza, Icelandic, Vegan-friendly, Gluten-free options. Smiðjan Bruggshús – Brewery & Grill. The Soup Company – Healthy options, Vegan-friendly. Berg – Fancy option, European food, Vegetarian and Glutenfree options. Víkurskáli – Gas station Grill BBQ. Lava Café – Sandwiches and Comfort food. Ice Cave Restaurant – Burgers, Soup, Stew, Vegetarian options. Drangar Restaurant at Hotel Kría – European and great architecture. Facilities include running water, toilets, showers, electricity, a playground, walking paths, a waste disposal for mobile homes and dogs are allowed. Facilities include toilets, showers (200 ISK), WIFI, running hot and cold water, dining facilities, washers (500 ISK), dryers (500 ISK), and electricity(800 ISK).